In the year 2017-18 Skill Select invitations were very difficult to obtain. Not only pro rata occupations but also many other occupations were affected. We review Skill Select of 2017, explain the reasons for it being a challenge and summarize a few strategies to boost the chance of success for the candidates. Skilled Independent 189 Visa does not need a sponsorship/nomination by an employer, or of the state/territory government or of a family member. The applicants must first submit an Expression of Interest using Skill Select and await the invitation to apply. The rounds for Invitation are held every two weeks and applicants with the top score in the points test for General Skilled Migration get an invitation to apply. The nominated occupation must be present on the list of the Independent/Family Sponsored Occupations List and the number of Expression of Interest for each occupation is made known at the commencement of the program year starting on 1st July. Occupations like Engineering, IT, and Accounting are popular and receive more EOIs than the ceiling and are called pro rata occupations. The invitations available are limited and require high points and more waiting times. In the program year so far 2,896 non-pro rata invitations were issued for the189 and 489 Visas, when compared to 4,421 in the same period in 2017. The reduced available places make the process of invitation very competitive for these occupations. In the present year, there was an overall increase of 3,362 places in occupation ceilings for pro rata occupations. Compared with last year, there has been an increase in EOIs with higher point’s scores. In the 18th October 2017 round, 900 invitations were issued to applicants who scored 70 points or higher and 525 invitations were issued to applicants who scored 75 points or higher. Spouse skills–when a partner/spouse meets the English language requirement and passes skills assessment, 5 points are scored. 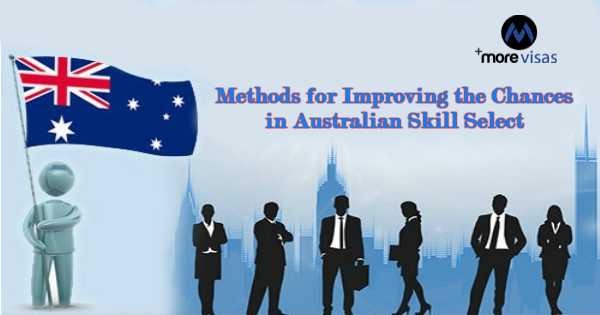 Professional year option is given to the candidates who complete studies in IT, accountancy, and engineering in Australia. This is the main reason for the increase in points. Many applicants take recognized tests and gain additional points for the better ability of English language. An EOI can be filed for free and applicants can file any number of applications. Applicants over-claim their points when they file their Expression of Interest for many occupations. Skill Select has become more competitive today. The applicants must submit the highest points score. Quality English will increase the chance of invitation for many jobs. Try to claim points from all sources, like skills of spouses, NAATI accreditation or completing a professional year. State nominated 190 and 489 Visas do not have occupational ceilings and 60 points help to qualify.